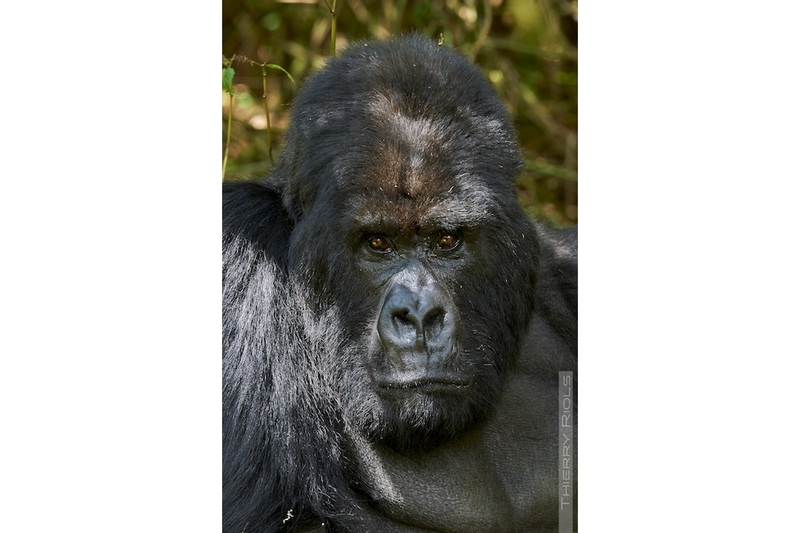 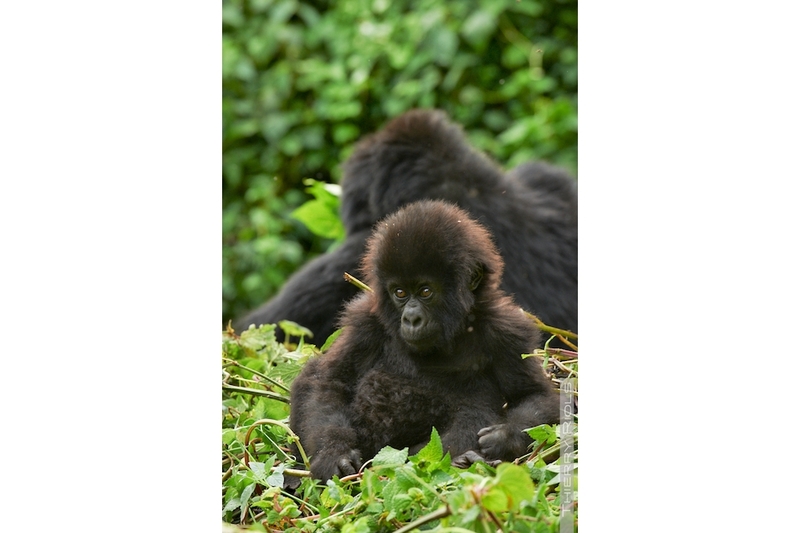 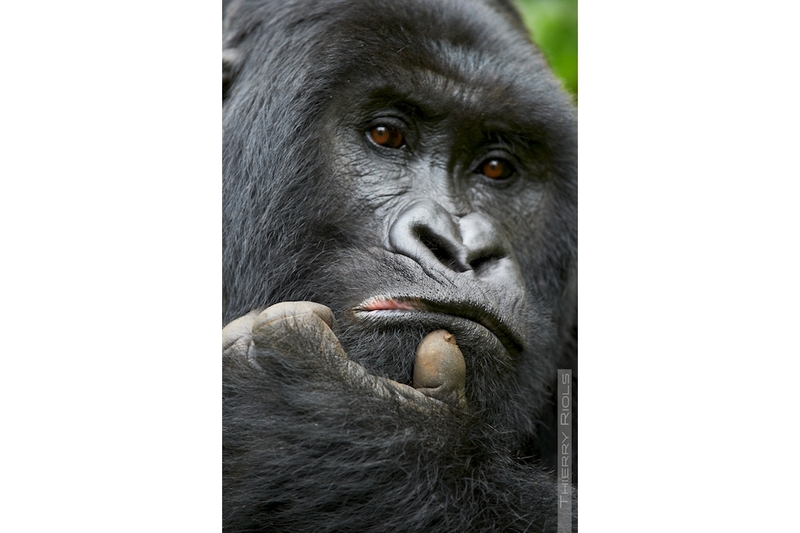 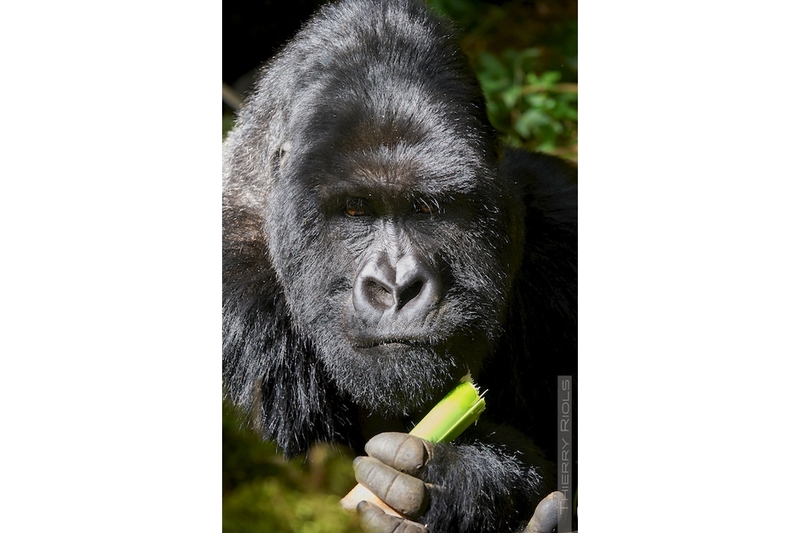 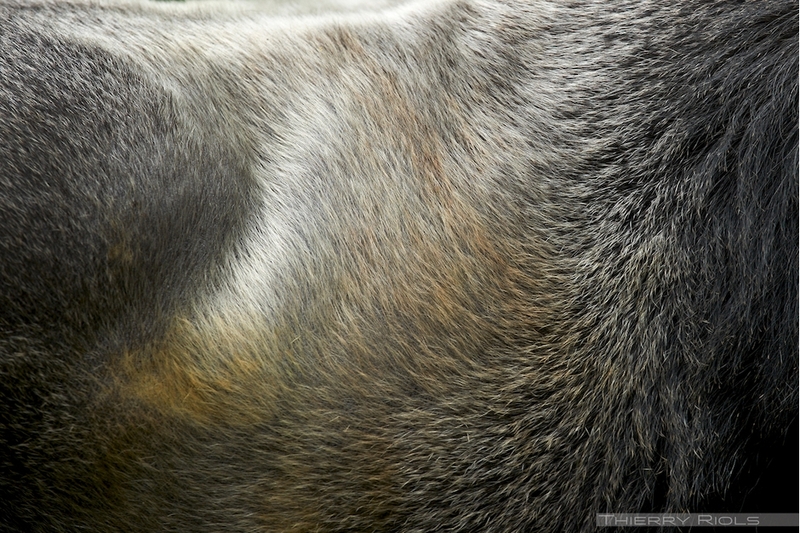 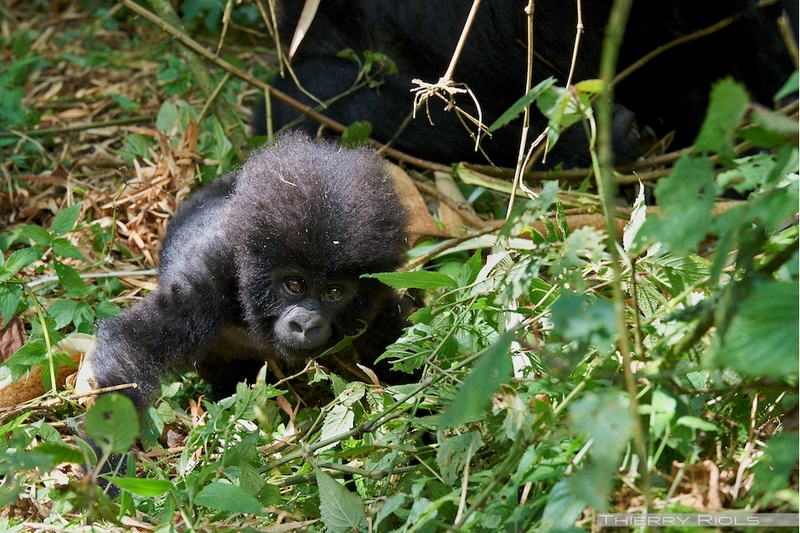 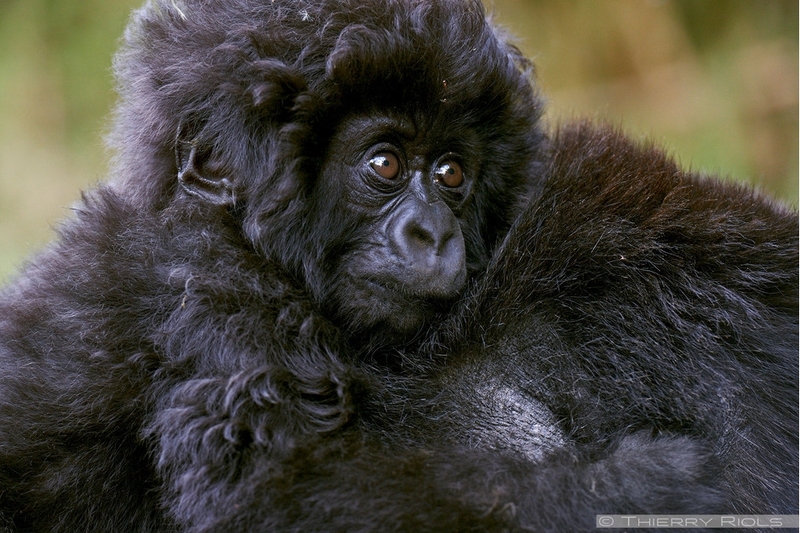 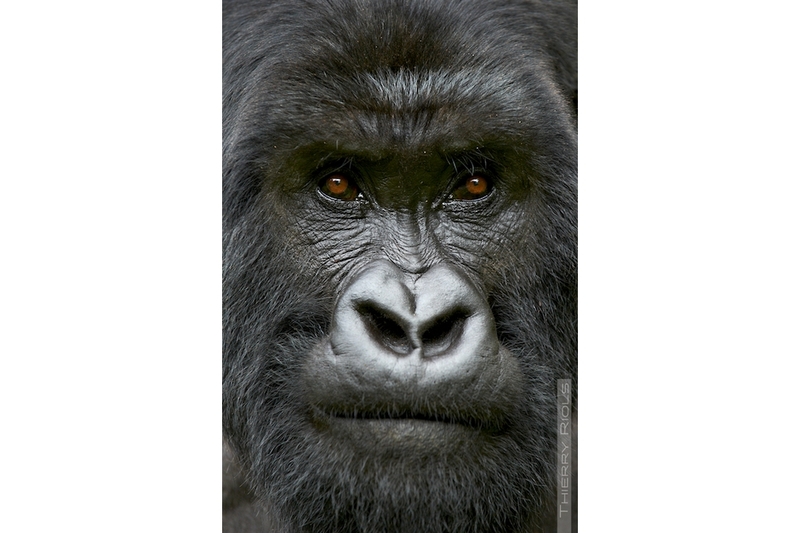 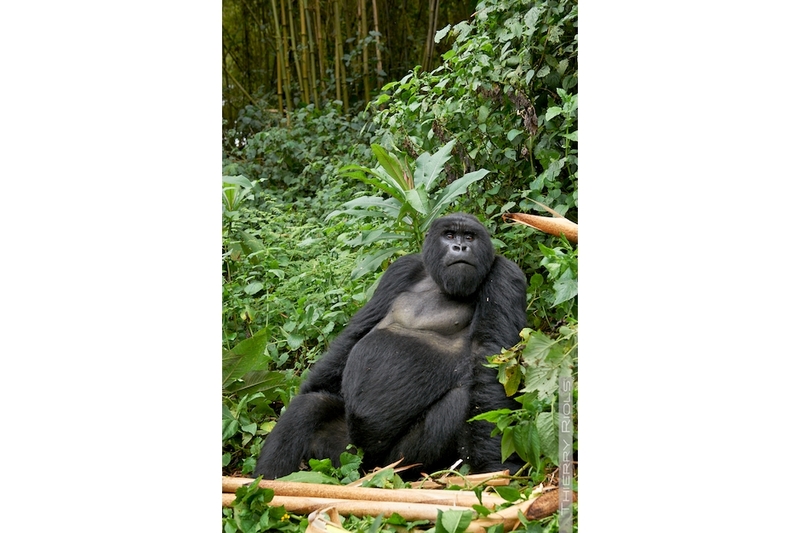 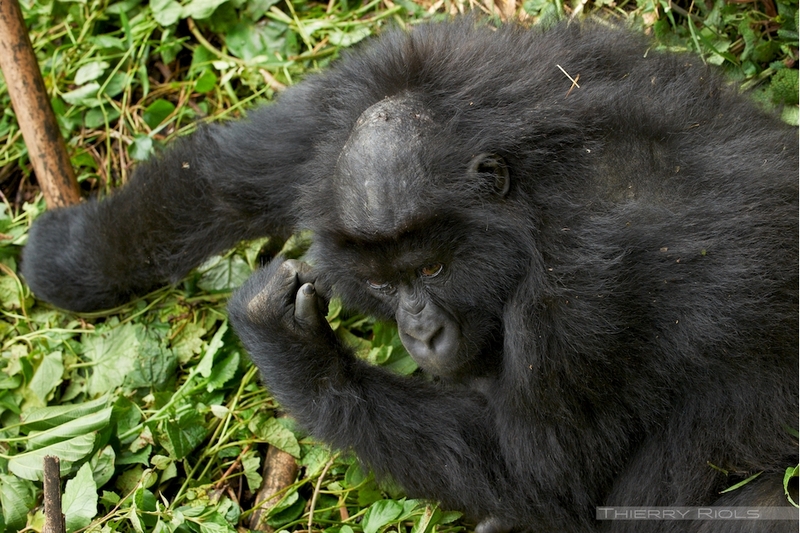 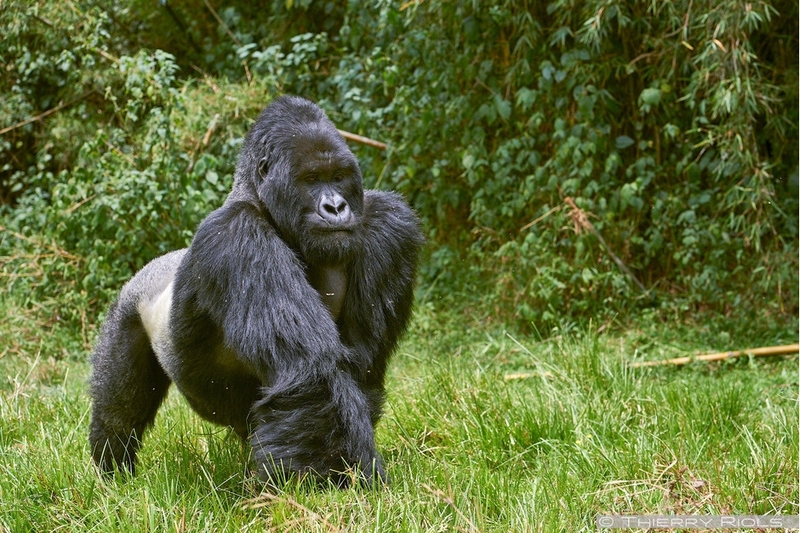 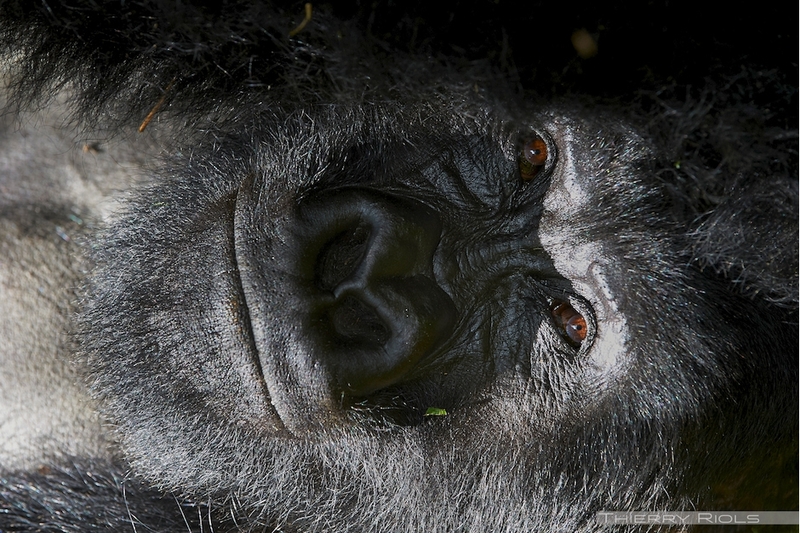 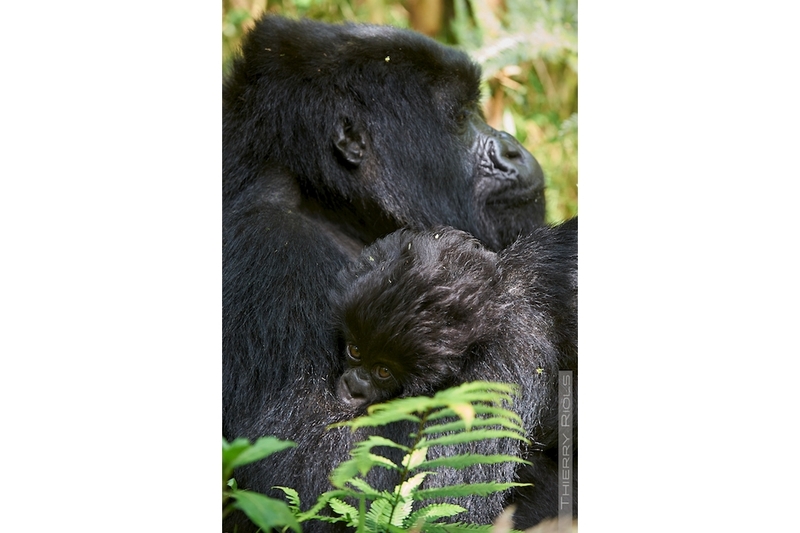 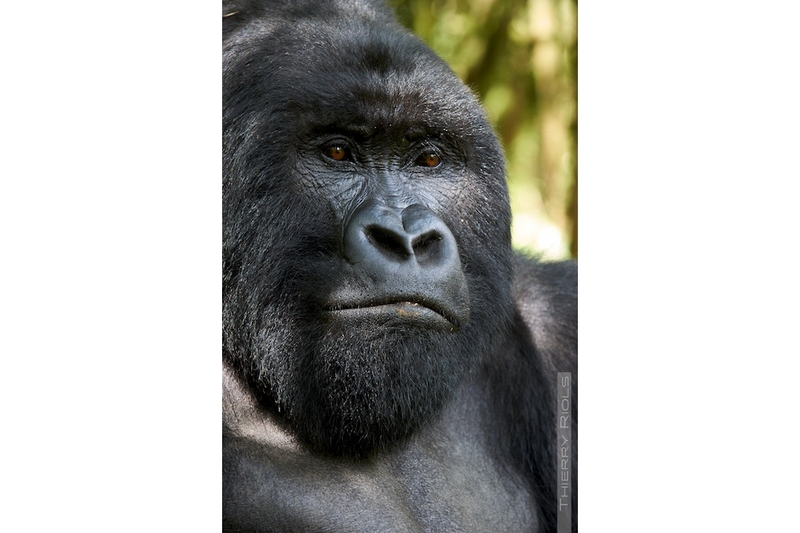 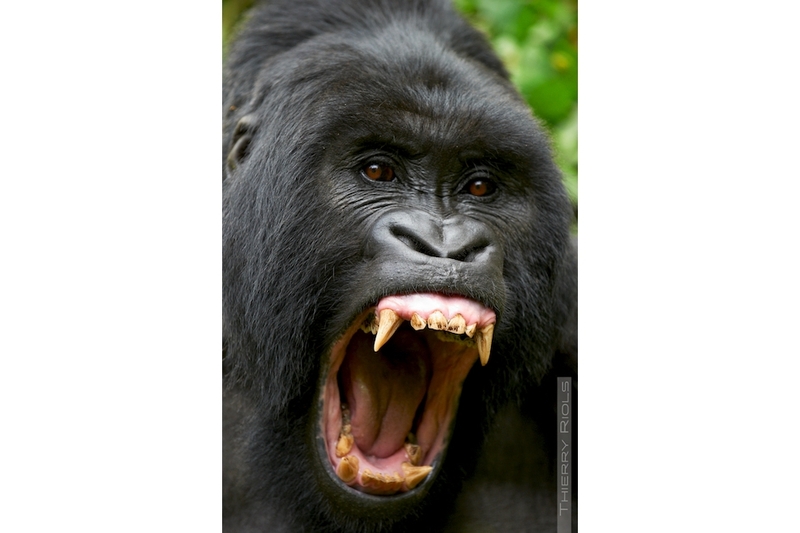 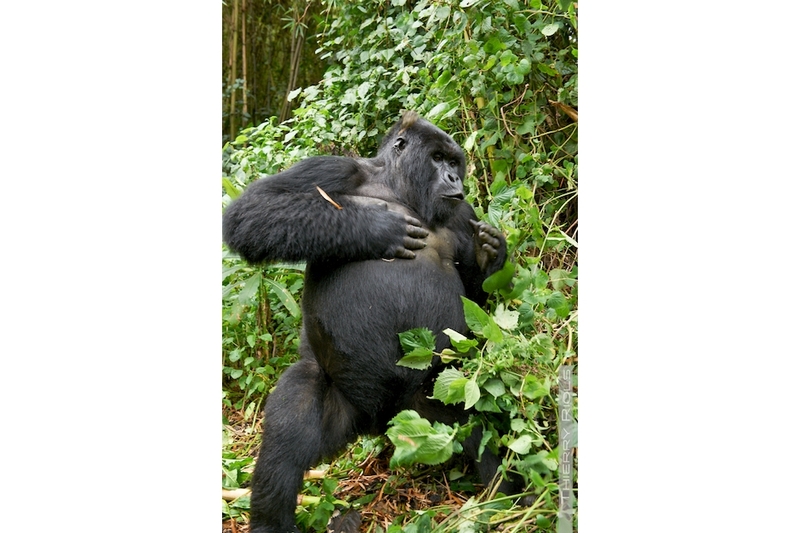 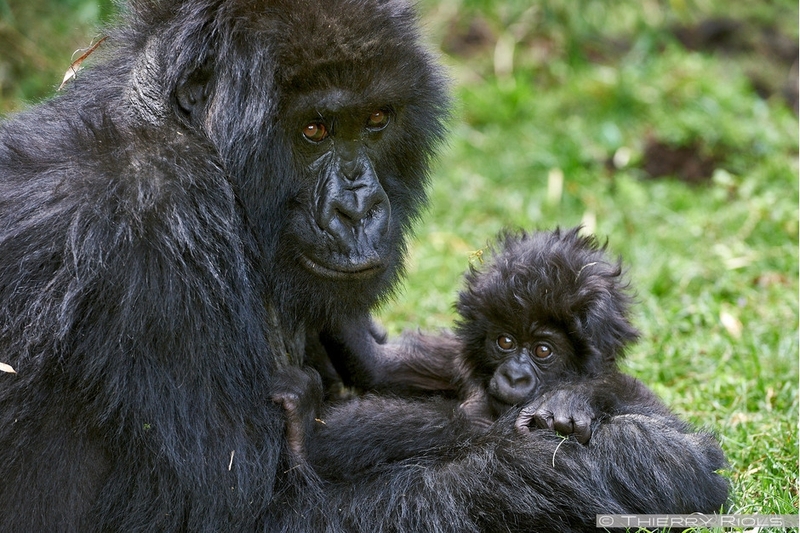 Photos of the mountain gorillas of Sabyinyo family. 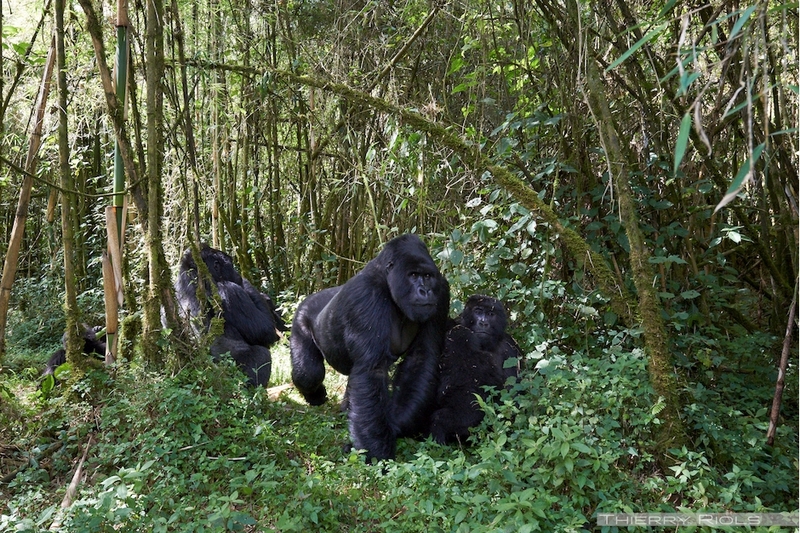 This large family includes a silverback Guhonda, a dominant one, black back - young male gorilla under 10 - females and young's. 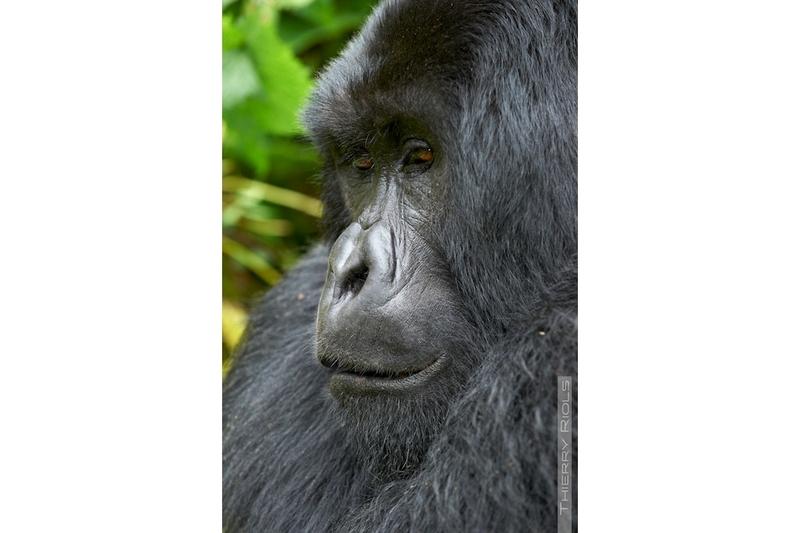 They stay on the slopes of the volcano Sabyinyo whose summit is shared between three countries: DRC, Rwanda and Uganda.